Egyptian authorities have put the deaths down to natural causes and dismissed the double tragedy as the ‘normal death of an English old man and his wife’. 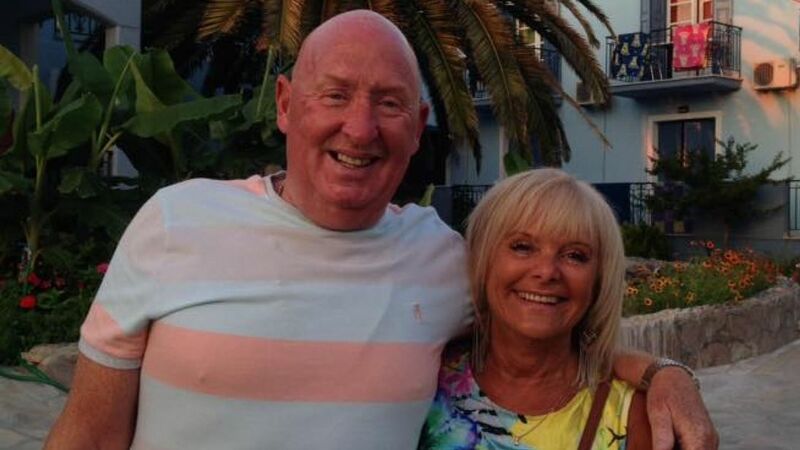 The Cooper family, from Burnley, Lancashire, were on a ten-day Thomas Cook package holiday when Mr Cooper, 69, died in his room at the five-star Aqua Magic Hotel in Hurghada on Tuesday morning. Mrs Cooper, 63, died six hours later after being taken to the hospital. There were fears the couple might have suffered carbon monoxide poisoning from a faulty air conditioning unit. Thomas Cook insisted there was ‘no evidence’ for this. Mrs Ormerod, who was staying in a different part of the hotel with her children, said: ‘On the Monday evening, both my parents were in good health and in great spirits. ‘When we woke up [on Tuesday morning] my mum hadn’t come down to sit on the sunbeds so I went to knock on the door and saw that they were both very unwell. ‘It was about 11 am when I went to the bedroom. They said they were extremely ill and needed help. ‘Medical attention was brought to the room but they couldn’t save Dad, they just couldn’t help him and he died there in the room before my eyes. There was also speculation yesterday that the Coopers were struck down with food poisoning as ‘at least 40’ other hotel guests have complained of being ill. Soon after the deaths, Dr Maged Eladawy, the head of Hurghada hospital, said Mrs Cooper – a long-serving member of staff at Thomas Cook’s Burnley branch – had ‘died from grief’ after her husband’s sudden death. Yesterday the governor of Hurghada, Ahmed Abdallah, said Mr Cooper, a building firm boss, had ‘clearly suffered a heart attack’ and added: ‘We found a bag of medicine at his room. He suffered many health issues. He said the fears over carbon monoxide were ‘not logical’ because the hotel had a central air conditioning system and ‘if there is a leak it would have affected all the 2,500 guests’. Local officials insisted there were ‘no criminal suspicions’. A statement issued by the Red Sea governorate was entitled: ‘Normal death of an English old man and his wife in Hurghada city’. It said Mr Cooper had died at 11 am and a medical examination showed ‘he suffered a sharp drop in blood circulation and a sudden stop in the heart muscle’. It added: ‘The cause of death is a sudden failure in the heart muscle and respiratory failure’. But Mrs Ormerod, who lives with her husband Daren, 50, and children a mile away from her parents’ home in the village of Worsthorne, is so convinced something is wrong she has demanded a second autopsy which will likely be completed this weekend. Usually, in cases of Britons dying abroad, there will be an inquest in the UK too. Mr Cooper, a clay pigeon shooting enthusiast who ran building company, JJ Cooper, was a Freemason of some 23 years. A neighbour of Mrs Ormerod said: ‘She is beside herself with grief. Egypt, which relies heavily on tourism, has seen visitor numbers plummet by 30 per cent since the 2011 Arab Spring brought security threats and civil unrest.